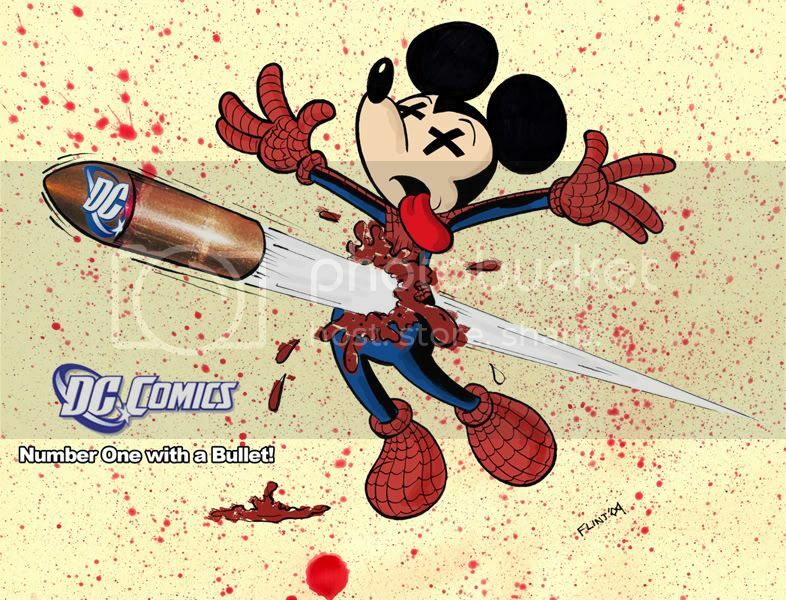 Peter Rios asked me to do a Disney type character getting shot by the DC Bullet. Why a generic Disney character? I just used Mickey. Might as well. Just got these approved by Upper Deck this morning. I’ll probably pop these up on Ebay individually and try and make some $$$. LAst two for now. I should have a new batch up soon.